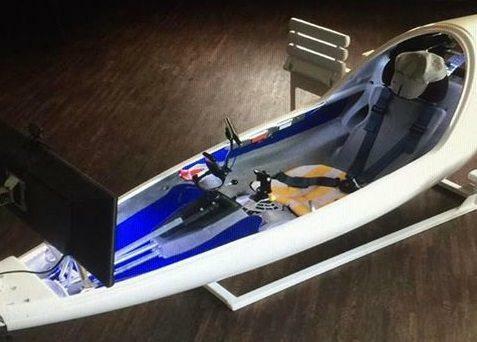 Condor Soaring Simulator simulates the complete gliding experience on your computer. 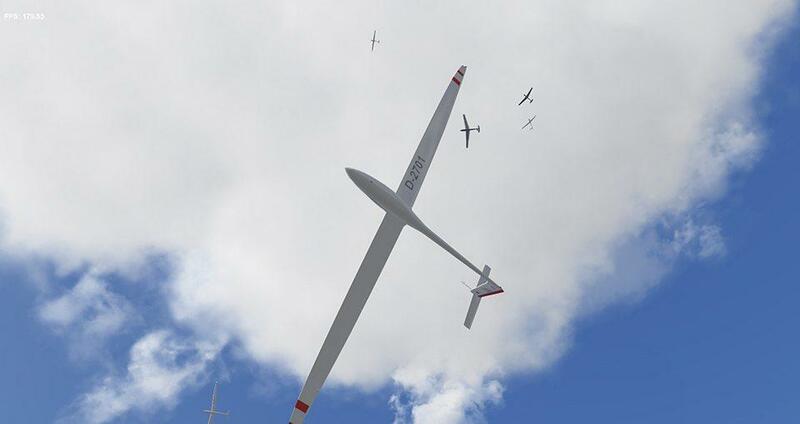 With it you can learn to fly gliders and progress up to a high level of competition skill. 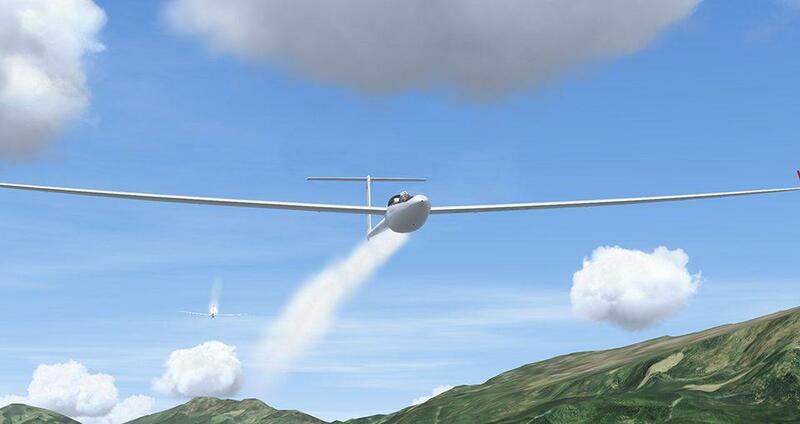 The core of the simulator is the state of the art physics model and advanced weather model aimed at soaring flight. • Realistic thermal life cycle: starting from the ground they reach cloud base, the cloud becomes bigger and more dense and later dissipates which causes the air below it to sink. • The location and strength of thermals is based on terrain sun exposure and ground features like forests, fields and villages. • Realistic daily sun travel which affects the frequency and strength of thermals. • Up slope wind on sunny ridges (anabatic winds). • Ridge lift with leeward downwind and turbulence, venturi effects. • Waves behind ridges, wavelength depends on wind speed and stability of the atmosphere. • Correct atmosphere pressure, density and temperature height distribution. • 3D isotropic turbulence model for thermal and mechanical turbulence. • Preset and custom weather conditions. • Configurable water ballast and C/G position. • Moving controls and control surfaces. • Wings flex under G load. • Dynamic external and cockpit shadows. • Custom registration and competition numbers. • Support for metric, imperial and australian units. • Handheld computer with its own software. • Every flight can be saved as a replay file and viewed later. • Custom cameras during replay playback. • Every flight can be saved to proprietary “flight track” file format which is used for flight analysis and record claims. 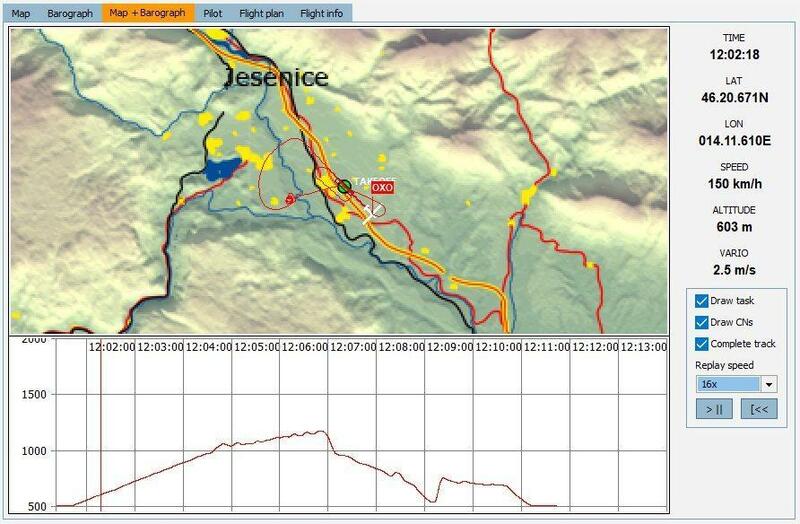 • Flight tracks can be exported to IGC file format and viewed with external IGC viewers. • Replays and flight tracks can be exchanged with other players and used to either compare the flying or to race against the “ghosts” of other pilots tracks. • Classic and window type sectors. • User configurable penalty zones. • Classic and Grand Prix “Regatta” starts. • Configurable penalty points for various infringements.